In denominations including $25, $50, $100, $200, $300, $400, $500, or $1000, the Martha’s Bloomers Gift Card is a credit card sized, magnetically encoded card that can be reloaded and reused! And it never expires! Gift giving made easy! The Martha’s Bloomers Gift Card is elegantly presented in an exquisite velvet drawstring pouch embossed with Martha’s Bloomers in gold. It includes a note card for your personalization in a lovely custom gift envelope. Give the gift you know they really want – a Martha’s Bloomers Gift Card! 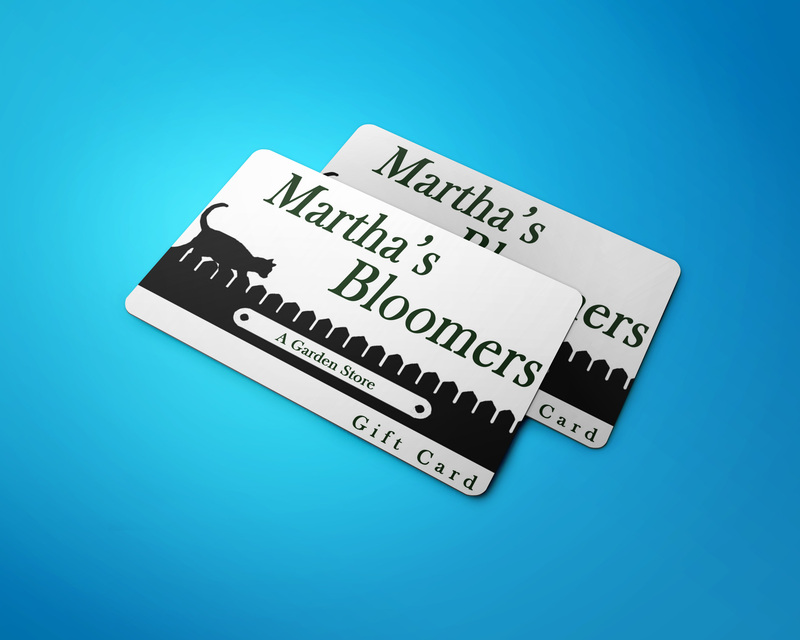 Gift cards may be redeemed at the Martha’s Bloomers stores in Navasota, Texas or Canton First Monday Trade Days only.